Acceptable colours are: all brindle, fawn, white, brindle and white. The skin should be soft and loose, especially at the head and shoulders, forming wrinkles. Coat moderately fine, brilliant, short and smooth. and not over 28 lb. (10-13 kg). 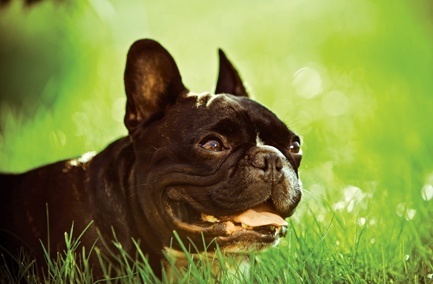 Frenchies are intelligent and only moderately active which makes them a great fit for quieter households. Although they don’t pick fights, they won’t back down from a challenge from another dog. 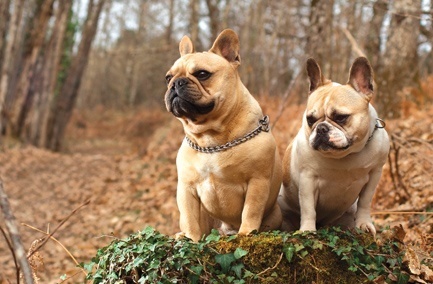 Brachycephalic Airway Syndrome is the breed’s most common medical problem and may require corrective surgery eventually. Pet insurance is highly recommended.